There’s sparkle in space. You know, with all the stars twinkling, flaming meteors whizzing about… Or at least that’s what my time (significant time people, significant) watching Doctor Who has led me to believe. 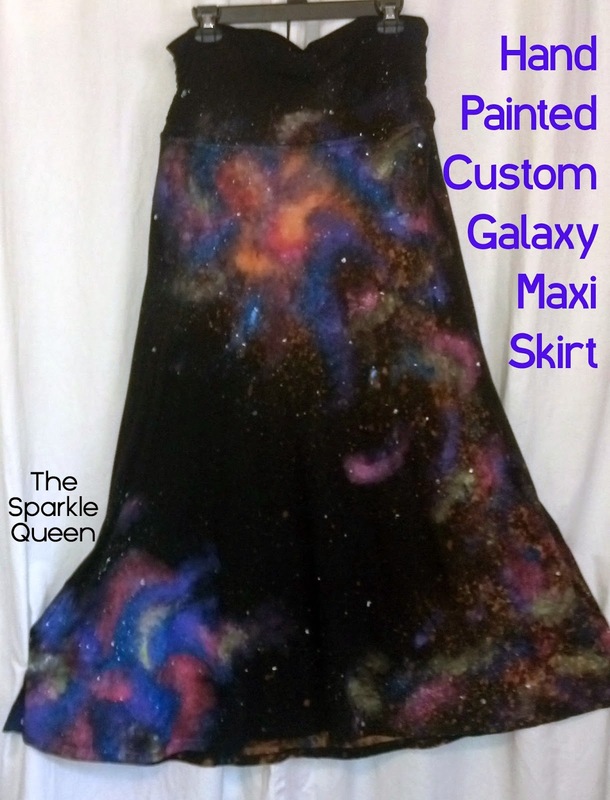 So why can’t I have a sparkle, custom, hand painted galaxy skirt? Sorry it’s a little fuzzy! To make up for it though, I’ve got a quick recording of it in super close up. 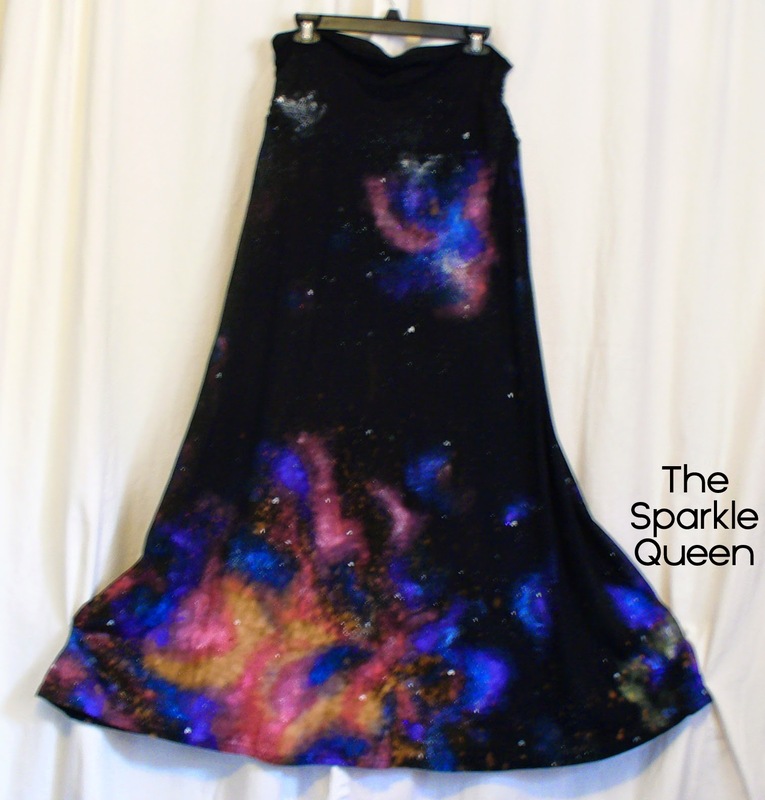 If you haven’t seen sparkle in a galaxy creation, check out the video. I used lots of sparkly paint in this look. Oh and of course- a handful of Swarovski crystals. So – what do you think of my latest creation? I’ll have to update you all soon with an “in motion” video because this skirt looks SO cool when I’m walking around in it. 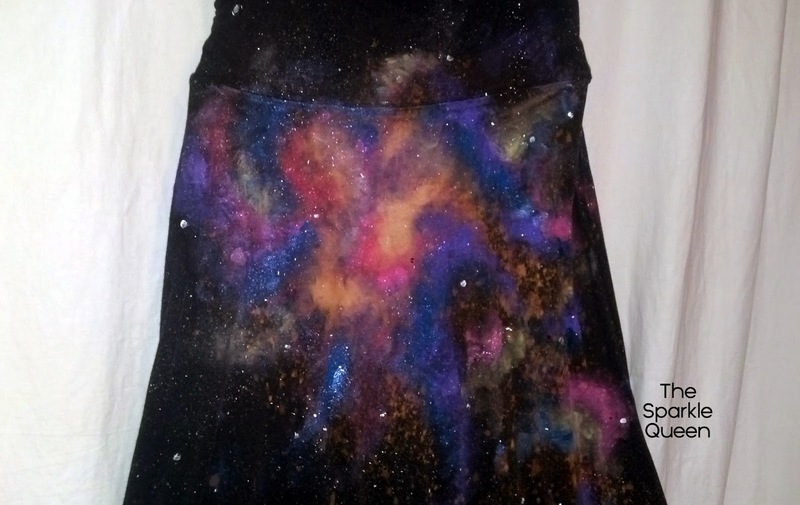 PS – I hand painted the galaxy and stars onto this black maxi skirt I picked up at Goodwill. Total refashion VICTORY! That's such a cool maxi skirt! So cool!! Do we get to see matching nails?? wow this hand painted skirt looks so lovely! um, YEAH I'd wear it! It is to infinity and beyond! You are so multi-talented! I wish I had the balls to share my creations with the world all of the time, haha.